Temporal patterning of neocortical progenitor cells: how do they know the right time? Saito K, Kawasoe R, Sasaki H, Kawaguchi A, *Miyata T.
Neural progenitor cells undergoing Yap/Tead-mediated enhanced self-renewal from heterotopias more easily in the diencephalon than in the telencephalon. 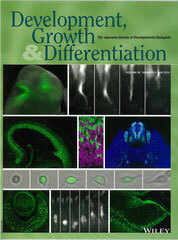 Delaunay D, Kawaguchi A, *Dehay C, *Matsuzaki F.
Division modes and physical asymmetry in cerebral cortex progenitors. Nagasaka A, Shinoda T, Kawaue T, Suzuki M, Nagayama K, Matsumoto T, Ueno N, Kawaguchi A, *Miyata T.
*Kawaguchi A, and *Matsuzaki F.
Cell cycle–arrested cells know the right time. Okamoto M, Miyata T, Konno D, Ueda R H, Kasukawa T, Hashimoto M, *Matsuzaki F, and *Kawaguchi A. Cell cycle–independent transitions in temporal identity of mammalian neural progenitor cells. 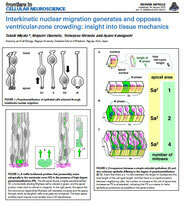 *Miyata T, Okamoto M, Shinoda T, Kawaguchi A.
Interkinetic nuclear migration generates and oppses ventricular-zone crowding: insight into tissue mechanics. Kawaue T, Sagou K, Kiyonari H, Ota K, Okamoto M, Shinoda T, Kawaguchi A, *Miyata T.
Neurogenin2-d4Venus and Gadd45g-d4Venus transgenic mice: Visualizing mitotic and migratory behaviors of cells committed to the neuronal lineage in the developing mammalian brain. Okamoto M, Namba T, Shinoda T, Kondo T, Watanabe T, Inoue Y, Takeuchi K, Enomoto Y, Ota K, Oda K, Wada Y, Sagou K, Saito K,Sakakibara A, Kawaguchi A, Nakajima K, Adachi T, Fujimori T, Ueda M, Hayashi S, Kaibuchi K,*Miyata T.
TAG-1-assisted progenitor elongation streamlines nuclear migration to optimize subapical crowding. 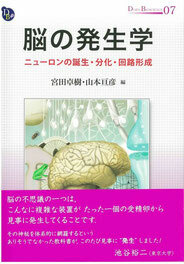 *Miyata T, Ono Y, Okamoto M, Masaoka M, Sakakibara A, Kawaguchi A, Hashimoto M, Ogawa M.
Neural Development , 2010, 5, 23(online). 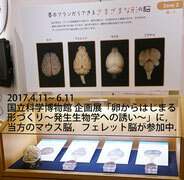 Miyata T, Kawaguchi D, Kawaguchi A, *Gotoh Y.
Mechanisms that regulate the number of neurons during mouse neocortical development. 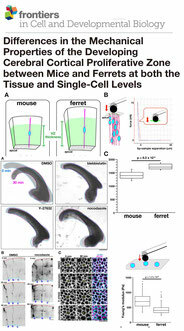 *Kawaguchi A, Ikawa T, Kasukawa T, Ueda R.H, Kurimoto K, Saitou M, *Matsuzaki F.
Single-cell gene profiling defines differential progenitor subclasses in mammalian neurogenesis. *Kawaguchi A, Ogawa M, Saito K, Matsuzaki F, Okano H, Miyata T.
Differential expression of Pax6 and Ngn2 between pair-generated cortical neurons. *Miyata T, Kawaguchi A, Saito K, Kawano M, Muto T, Ogawa M.
Asymmetric production of surface-dividing and non-surface-dividing cortical progenitor cells. Saito K, Kawaguchi A, Kashiwagi S, Yasugi S, Ogawa M, *Miyata T.
Morphological asymmetry in dividing retinal progenitor cells. 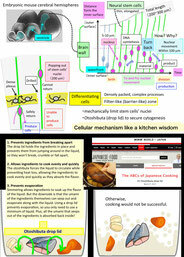 *Miyata, T., Kawaguchi A, Saito, K., Kuramochi, H., and Ogawa, M.
Visualization of cell cycling by an improvement in slice culture methods. Murayama, A., Matsuzaki, Y., Kawaguchi A,, Shimazaki, T., and *Okano, H.
Flow cytometric analysis of neural stem cells in the developing and adult mouse brain. 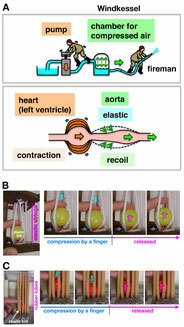 *Miyata, T., Kawaguchi A,, Okano, H., and Ogawa, M.
Asymmetric inheritance of radial glial fibers by cortical neurons. 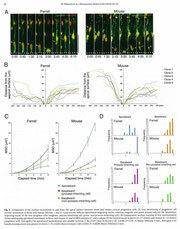 Sawamoto, K., Yamamoto, A., Kawaguchi A,, Yamaguchi, M., Mori, K., Goldman, S.A. and *Okano, H.
Direct isolation of committed neuronal progenitor cells from transgenic mice co-expressing spectrally-distinct fluorescent proteins regulated by stage-specific neural promoters. 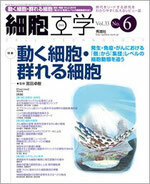 Kawaguchi A, Miyata, T., Sawamoto, K., Takashita, N., Murayama, A., Akamatsu, W., Ogawa, M., Okabe, M., Tano, Y., Goldman, S.A., and *Okano, H.
Nestin-EGFP mice: visualization of the self-renewal and multipotency of CNS stem cells. Roy N., Benraiss A., Wang S., Fraser R., Goodman R., Couldwell W., Nedergaard M., Kawaguchi A, Okano H., *Goldman S.A.
Roy NS, Wang S, Jiang L, Kang J, Benraiss A, Harrison-Restelli C, Fraser RA, Couldwell WT, Kawaguchi A, Okano H, Nedergaard M, *Goldman SA.